A Wide Brimmed Idea .. 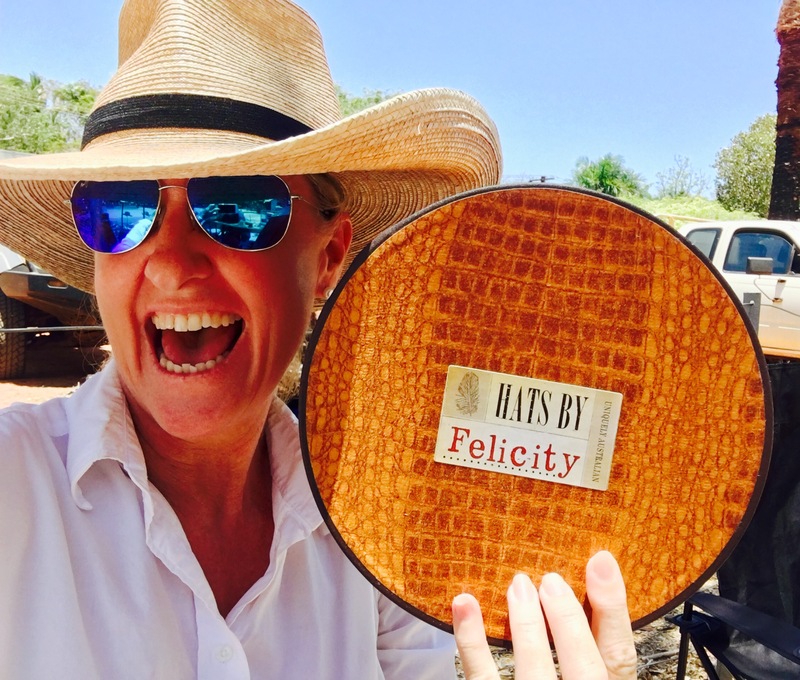 It was 18 months ago now, that almost silently, I released the “Cruise Broome,” the first hat of my custom designed commercial hat range, and since that April, 2017 backyard unveil, this next chapter of my hats by Felicity story has excitedly grown. I’ve always been completely passionate about the hat, particularly the cowboy hat. … I create them, collect them, wear them and like many of you, just plain love them. “One can never have too many hats” you’ll hear me say … as I hang another hat on the rack. After releasing the ‘Flic Pinch’ palm leaf hat on the runway of NYFW, I created one for myself to wear in my stall at the Courthouse markets, Broome. Customers wanted my hat, but when I told them the price of the bespoke creation they turned straight for the mango smoothie line. Don’t get me wrong, there are people who know and respect the hat and understand the price and will pay; but I want everyone to wear hats! So, a few years ago, I started researching the price point that the general population was prepared to pay for a wide brimmed hat that protected them from the sun and of course, looked good. The resultant price made it unachievable for me to personally create the hat, so I set about designing a hat that someone else could produce for me; a hat that I felt confident people would feel great in, they’d wear with pride, wear often and grow the SunSmart message; a hat that had my touch, fit them perfectly and was affordable. Designing it turned out to be the easiest part – the challenge was finding someone to make the hats who understood me and what I was aiming to achieve; who respected my touches and would create the hat to my own standard. Many sketches, prototypes and sleepless nights later, I finally secured the supplier for my first Hats by Felicity custom designed commercial range of hats. There’s moments in life that are significant chapters of our yarn and let me tell you the arrival of my first box of hats designed by me, was certainly one. Marketing was next; getting this baby out there. I passively launched during the Shinju artist open house trail early 2017. People came to view my millinery, and were led through my gate and up to the studio shed by a line of ‘Cruise Broome’ hats. The reaction (to both) was great. The Cruise Broome hats walked out the gate, and … they looked GREAT. I then included the hats in my Sunday market stall, where I’m able to showcase the finer details of the hat, taking time to measure customers heads, use the internal drawstring to size perfectly and shape the brim according to individual’s comfort zone and sense of style. I subtly included the hats in my millinery exhibitions and events big and small across the country, from the North West tip of the Kimberley, through the Pilbara, Gasgoyne and into Perth, across to Balmain, Sydney and country NSW; I even left a hat in South Africa. 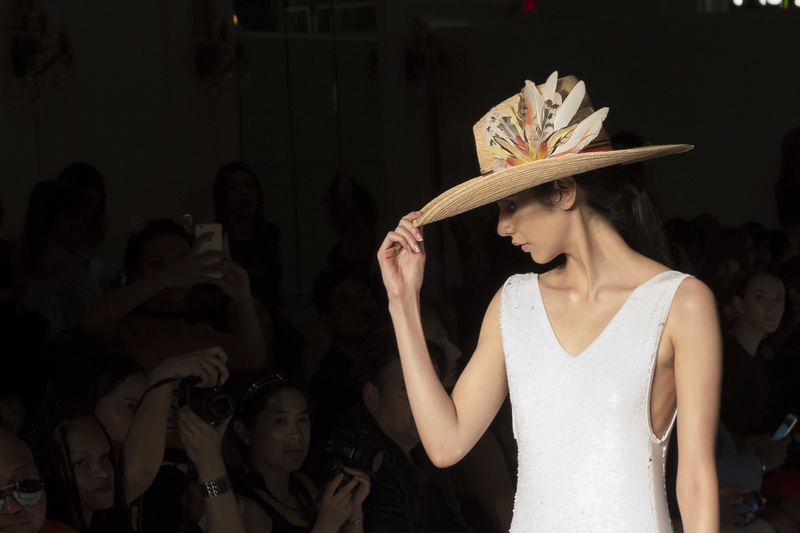 This Milliner on the Move has spent every opportunity to be on the road and promote this collection to all. I met with retailers throughout WA and and I’m extremely proud to say that from the northwest tip of the state down to the wheatbelt you can now purchase my custom designed hat, in fact, you even have a choice, with four more hat designs since launched with this Hats by Felicity range. The next step, knowing demand existed, was getting myself to a position that enabled the purchase of my first large order from my supplier, and I couldn’t be prouder to have taken this big small business step … just … last … week! So, it’s game on and make some room in the shed because the hats are on their way. Outlets where you can purchase the hat range in WA include Cygnet Bay Pearl Farm, Broome Visitor Centre, Eco Beach Wilderness Retreat, Port Hedland Visitor Centre and Botanicalia Gallery in York. The plan of course, is to stock Australia wide so I still have some work to do. But in the meantime, you can also purchase via my online store www.hatsbyfelicity.com.au and if you’re in Broome, at the Courthouse markets or from my studio by appointment. If you’d like to be a stockist please contact me on hatsbyfelicity@bigpond.com. This is my moment to thank you, who, had faith in this project and dream of mine to develop a SunSmart hat that fits, is affordable and looks good. You must feel great in your hat. Be it bespoke millinery or a wide brimmed sun hat, those who know me know it is my biggest belief that putting on your hat must instantly make you feel great.… it’s not just about the hat! A huge shout of thanks to you who tag me wearing your hats out and about – globally even! This not only makes my day, but makes this, my hat product, credible and very real. I’ll be in touch again closer to the festive season but in the meantime, keep an eye out for a little yarn on ABC Landline and the U.K. BBC Julia Bradbury TV Series, for a snippet of feathers and fun. The fabulous hosts of both shows each own a ‘Cruise Kimberley’ hat, so who know’s, the hat might even make a celebrity guest appearance. I know it’s been a while between updates, it’s been a pretty hectic time for us all; but we have to keep these goals going and be in it for the long haul. So, thank you. I hope this finds you happy, healthy and well. Stay committed to your dream … you can make it happen. This entry was posted in General and tagged ABC Landline, Australia, balmain, Bespoke, Botanicalia, Broome visitor centre, country NSW, Courthouse Markets Broome, cowboy hat, Cruise Broome, Cruise Kimberley hat, cygnet Bay pearl farm, Dream, Eco Beach Wilderness retreat, Gascoyne, hat, Hats by Felicity, Julia Bradbury TV Series, Kimberley, milliner, Milliner on the move, New York Fashion Week, out and about, perth, Pilbara, Port Hedland visitor centre, Shinju, South Africa, SunSmart, Sydney, Western Australia, York. Bookmark the permalink. Nice work Flic. It’s happening!!!! !